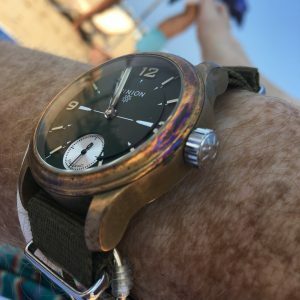 After closely watching the launch of the Hamtun H1 diver’s watch and the Marloe Cherwell on Kickstarter I had a little browse to see if any other interesting British newcomers are on the horizon. I have come across two new very nice looking and reasonably priced projects both interestingly using the tried and trusted Seiko NH35A movement. 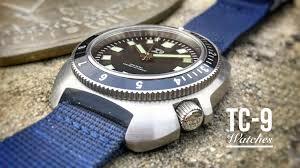 The first being the 44mm TC9-9 Divers seventies style divers watch. 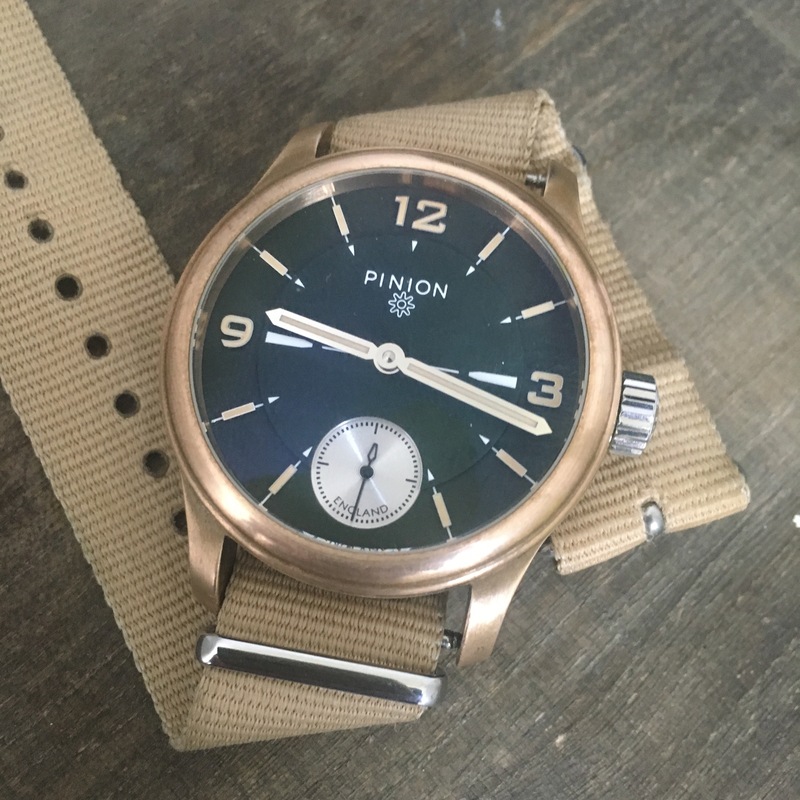 This watch will be available in brushed stainless steel or black PVD with Super Lume paint on hands and dial . 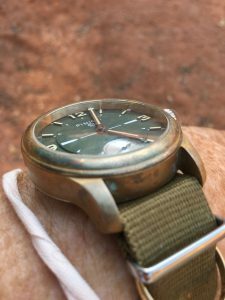 An aluminium bezel insert with 12 hour markers or minute markers. As you might expect for a diver’s watch water resistance is quoted at 1000 feet. 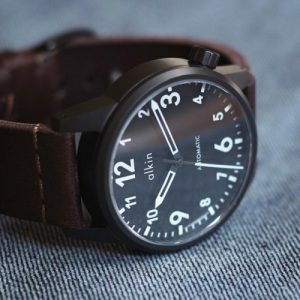 There is at the time of writing the opportunity to get this watch with a pledge of £179 or more on Kickstarter. The second watch is from London based Alkin, who I have to admit to finding our about from them giving me several likes on my Instagram page. This Kickstarter project has not yet gone live, so if you are interested you should sign-up to receive a notification for when they launch. 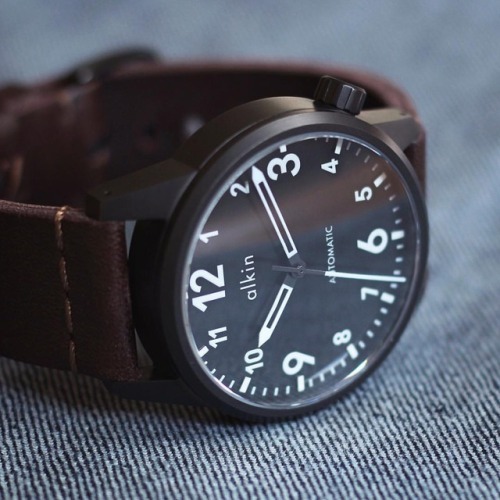 From what I can glean form the various social media postings this handsome minimalist watch should feature a 42mm 316L stainless steel case in plain brushed steel or Black PVD, sapphire crystal, an exhibition case back and 100 metre water resistance. The initial Kickstarter price should be $225.